Below you fill find all funeral homes and cemeteries in or near Inez. Suburbs of Inez: Job, Threeforks. Inez is also known as: Martin County / Inez city. Their current mayor is Mayor Terry Fraley. Zip codes in the city: 41224. Inez (local /ɑːnəz/ and /aɪnəz/) is a city in and the county seat of Martin County, Kentucky, United States. The population was 466 at the 2000 census. It was revealed by Register Herald on July 23rd, 2018 that Jeff Franklin Sumpter passed on in Shady Spring, West Virginia. Sumpter was 53 years old and was born in Inez, KY. Send flowers to express your sympathy and honor Jeff Franklin's life. It was reported on February 3rd, 2017 that Vadie Lowe passed on in Valrico, Florida. Lowe was 89 years old and was born in Inez, KY. Send flowers to express your sorrow and honor Vadie's life. It was reported by Cincinnati Enquirer and Cincinnati Post on October 4th, 2016 that Ova "Jay" Bowen died in Delaware, Ohio. Bowen was 83 years old and was born in Inez, KY. Send flowers to express your sympathy and honor Ova "Jay"'s life. It was written by Star Beacon on November 11th, 2015 that Paul D Maynard passed away in Kingsville, Ohio. Maynard was 62 years old and was born in Inez, KY. Send flowers to share your condolences and honor Paul D's life. It was revealed by Ashland Times Gazette on November 4th, 2015 that Alice A Parks (Maynard) passed on in Ashland, Ohio. Ms. Parks was 75 years old and was born in Inez, KY. Send flowers to express your sympathy and honor Alice A's life. It was revealed by Ashland Times Gazette on October 12th, 2013 that Loraine N Weikle (Crisp) passed away in Ashland, Ohio. Ms. Weikle was 74 years old and was born in Inez, KY. Send flowers to express your sympathy and honor Loraine N's life. It was disclosed by Columbus Dispatch on September 7th, 2013 that Geral A Eden (Stepp) passed on in Ohio. Ms. Eden was 75 years old and was born in Inez, KY. Send flowers to express your sorrow and honor Geral A's life. It was noted by Lexington Herald Leader on April 14th, 2013 that Jack Lawrence Cornette passed on in Inez, Kentucky. Cornette was 78 years old. Send flowers to express your sorrow and honor Jack Lawrence's life. It was revealed by Lexington Herald Leader on April 14th, 2013 that William Ray Webb passed on in Inez, Kentucky. Webb was 78 years old. Send flowers to express your sorrow and honor William Ray's life. It was revealed by Middletown Journal on April 13th, 2013 that Lonnie Endicott passed away in Franklin, Ohio. Endicott was 70 years old and was born in Inez, KY. Send flowers to express your sorrow and honor Lonnie's life. Inez is a city in Martin County, Kentucky County, Kentucky, United States. 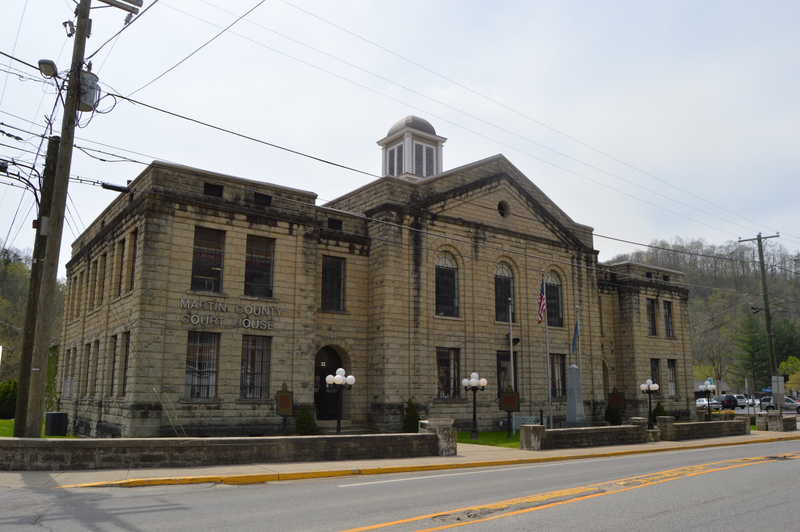 It is the county seat of Martin County, Kentucky County . The population was 466 at the 2000 United States Census census. . . The official website for the city of Inez is https://inez.ky.gov/Pages/default.aspx. Harriet Inez Thompson, 92, formerly of Lynn, passed away Thursday, October 21, 2010 at Valley View Care and Rehabilitation Center, Andrews, N.C. She was born October 29, 1917 in Henderson County, Kentucky ... m. Wednesday at the funeral home. Listing all funeral homes in Inez, Kentucky so you can easily send flowers to any location (same day delivery) or find any funeral service. Phelps, Bill - Phelps & Sons Funeral Home, Inez, KY : Reviews and maps - Yahoo! Local, 606.298.0602. Get Ratings, Reviews, Photos and more on Yahoo! Local. We work with local florists and flower shops to offer same day delivery. You will find budget sympathy flowers in Inez here. Our funeral flowers are cheap in price but not in value.